Toad Hollow Photography is a professional photography company based in Maple Bay in the Cowichan Valley on Vancouver Island. Our prime focus is on heritage, with an eye towards architecture and artifacts of historical interest or value. We love to shoot our beautiful landscapes, houses, buildings, churches, cars, trucks, and anything else of interest, to capture vignettes of life on Vancouver Island. We also provide a complete set of professional services specializing in restaurants, B&B’s, food and product, commercial and portrait photography services. We offer a wide variety of professional photography services with packages for commercial photography, as well as portrait packages for personal milestones or events. Our initial consultations are free, so please call today to discuss your needs. We produce the high quality, hand assembled prints for sale. Our Limited Edition and Open Edition Prints collections are all available for order directly from us. We use the highest quality exhibition frames, museum quality archival mats and each piece is hand signed and comes with a certificate of authenticity to ensure the long-term value in your art investment. Our Limited Edition pieces are also numbered and registered to ensure the integrity of our Limited Edition series, and to ensure that your piece of Fine Art Photography continues to increase in value over time. Our "Toad’s Promise" guarantee offers our customers a no questions asked money back guarantee. We are dedicated to your satisfaction, and if for any reason you are unhappy with your purchase or services rendered, we will happily refund the entire amount. 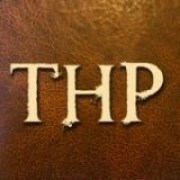 The Toad Hollow Photography BLOG (http://toadhollowphoto.com) features regular posts and updates showcasing our latest photography as well as discussing the stories behind them. We take an often whimsical look at some of the discoveries we make here on Vancouver Island, and we enjoy showcasing and discussing the heritage and history of the island we love to call home. Join us for a unique look at Vancouver Island!